One Price. All the Feels. All the Fun. Your hotspot for family fun this summer! Endless resort activities included in your getaway with Horseshoe Passes for the whole family! 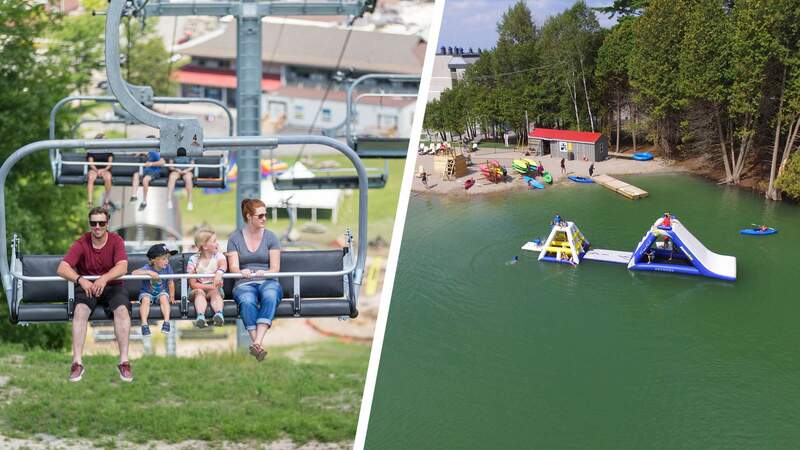 Race, soar and jump through Slopeside Activities and then splash your way through the Lake Activities. Your Hotspot is closer than you think, only one hour north of Toronto. Book the Hotspot Package and enjoy Horseshoe Passes for the family ($160 value!) PLUS unlimited access to the Urban Slide during your stay*. *Rates shown are applicable to select accommodation and may fluctuate based on dates and availability and/or minimum stay requirement. HST and nightly resort fee, providing additional services and benefits are additional.